Do Face Oils Deserve Their Modern Day Popularity? The minute people realized just how smelly and yucky animal fat and leftover lard was when used as a moisturizer, they started hunting for an alternative that would protect without offending the senses as much. Oils happened to be the natural choice since they were easily available and got the job done to perfection. 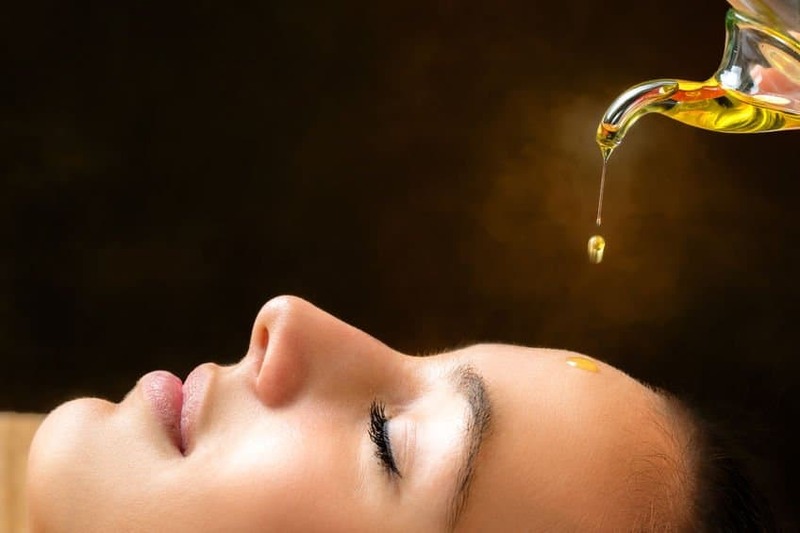 So, while Queen Cleo stuck to the purist approach of using sesame and other seed oils and the Romans continued their love affair with olive oil, the Indians and Chinese began experimenting with infused oil. Regardless of the product used, everybody went to bed happy after slathering oil on their faces and body. But, Face Oils Went From Being Skincare Hero To Villain! Oils as moisturizers enjoyed a long run as the de facto treatment for a range of skin ailments including dryness and aging. But, a few decades ago, the fortunes turned for this humble ingredient. Suddenly, the very idea of smearing oil on their face was enough to make people run for cover. I bet some even had nightmares of Freddie Krueger walking around with a bottle of face oil in his hands. After all, his horrendous complexion could only be blamed on the application of oil (yes, it was third degree burns but surely oils had a role to play in it somehow). In fact, most experts and even regular folks took great pains to educate people on how only a squeaky clean skin was actually healthy skin. This misconception continued for several decades and is still ingrained in the American psyche to some extent. A Bit Of Oil Here, A Bit Of Oil There, These Oils Seem To Be Everywhere! Study the ingredient list of random skincare products and you will find that regardless of their role in the dermal health equation, they do contain some amount and some form of oil. Yes, I am talking about every skincare product out there, from cleansers and toners that often include essential oils to serums and moisturizers that contain a generous amount of plant fats. Even face masks include a wholesome amount of lipids. So, try as you may, you can’t possibly remove oils completely from your skincare routine. Now, here is food for thought – if oils are so terrible, why are manufacturers using them in all their products? In fact, I bet you were not even aware that just about everything you put on your face contains some amount of oil. So, let me ask you this – did all those products harm your skin? In Defense Of Face Oil! It is not oil per se that is bad but the type and quantity of the oil used that creates trouble. In fact, Mother Nature is a big fan of using oils to protect live tissue from damage. Not just on plants and animal skin but even on human skin, natural oils play an integral role in the dermal protection and health matrix. Sebum is nothing but natural oil secreted by the sebaceous glands. This oil keeps your skin healthy and regulates the movement of nutrients and fluids in between the dermal cells and layers. Moreover, the surface of your skin is covered with a protective layer made from natural fats, dead cells, sweat, salts and other substances. This layer blocks the entry of damage causing pollutants and traps the hydration in place. 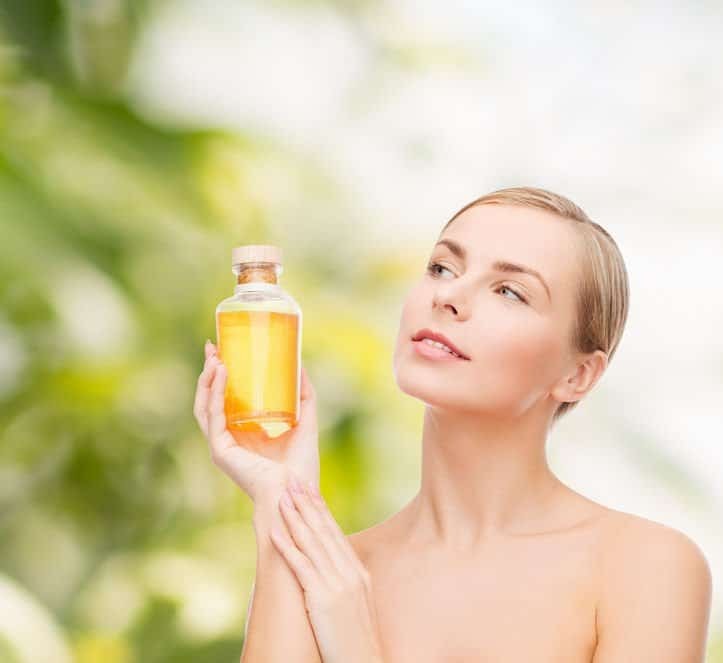 However, age, weather, lifestyle and genetics all interfere with the production of natural skin oils, impairing the protective dermal barrier and this is where facial oils can come to your rescue. Of course, you can rely on your moisturizer but these formulations too contain between 10-30% oil. Moral of the story, you cannot get away from oil! 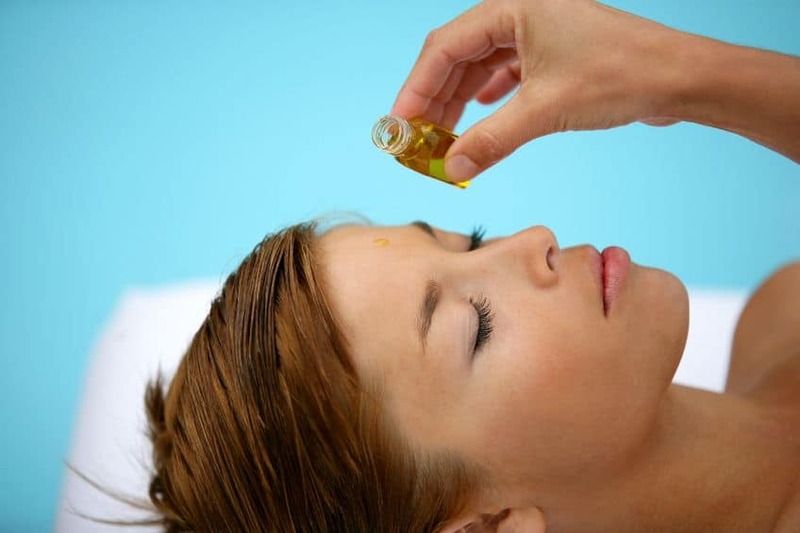 The truth about facial oils! 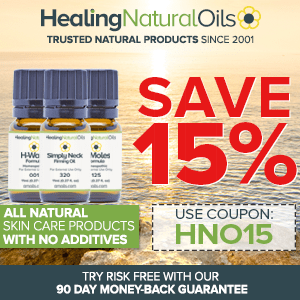 Oils are fantastic emollients and even occlusives. Depending on the oil used, you can even get ceramides out of them but what they are not are humectants. These are substances that trap moisture and make it readily available for the skin cells. Since oils lack humectants, they cannot be used alone for moisturization. On the other hand, many carrier oils and essential oils are chock full of antioxidants and skin healing nutrients that can restore that sorely missed youthful glow to your face. Because of their ability to prevent oxidative stress, oils can offer noticeable results against age and sun exposure related skin damage. While highly occlusive/heavy oils do have the propensity of clogging your pores, certain plant oils can actually rein in those sebaceous glands and regulate the production of sebum. Moreover, a select bunch of essential oils like tea tree, lavender and chamomile not only help to kill acne causing bacteria but also bring down scar causing inflammation. Are You Ready For The New Age Face Oils? Broadly, face oils are available in two varieties – straight and combination. The straights are single plant/seed oils, usually virgin and cold pressed. The most popular products in this category are rosehip seed, argan, sweet almond, sesame seed, grapeseed, avocado and others. Combinations are simply a couple of oils mixed together. Usually, product makers put together one or two carrier oils with complimentary essential oils and even plant butters to form a blend meant to correct specific skin concerns. Now, if you thought that facial oils are just add-on moisturizers, think again. Straight oils and blends of medium viscous straight oils are in great demand as cleansers. Yes, you read that right! I know it is hard to imagine a sticky oil as a cleanser. The logic here is that it is easier to clean an oil spill with oil than with soap and water. The grime on your face is nothing but a mixture of sebum, dead cells, pollutants and dirt. The sticky stuff dissolves easily in straight oils and can be wiped clean off of the skin without any scrubbing. In fact, while most cleansers lead to some amount of dryness, cleansing oils offer deeper pore cleaning without removing the water from the dermal cells or harming the skin’s lipid layer. Combinations are more popular when face oils are to be used for moisturization. The science behind the blending is simple. The carrier oils offer moisturization and protection while the essential oils provide therapeutic and antioxidant benefits. The best thing about facial oils is that you can buy your products off the shelves or you could whip up a customized blend at home. 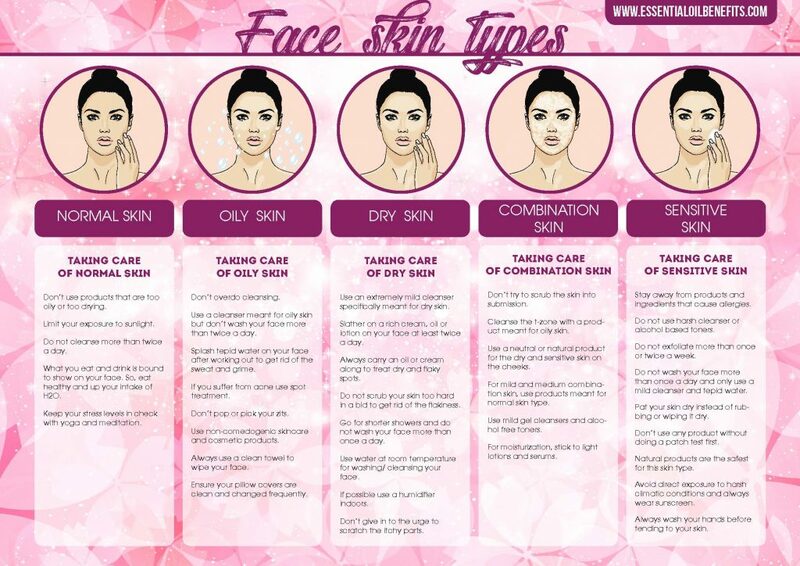 Choosing Face Oils That Suit Your Skin Type! Jojoba oil is a true blessing for anybody troubled by oily and acne prone skin. My nickname for this oil is “the cunning oil”, let me tell you why. Because of its chemistry that closely resembles that of sebum, jojoba oil actually tricks your skin into thinking that there is a lot of oil on the face and hence it does not have to produce any more. Good bye oily skin! With the right essential oils added to jojoba oil, you also get to send acne causing bacteria running for cover and show those pores their place in life. Now, what more could you possibly want. See, I told you; the trick is in using the right oil or blend of oils. Light oils like that of jojoba, rosehip seed, carrot seed, sesame seed, virgin coconut and sweet almond do a whole lot of good for normal and combination skin. If essential oils of rose, helichrysum, orange, myrrh, lemongrass are added to these straights, you get even greater benefits. If you have dry skin that gets itchy and flaky, blends and straight oils can be of great help. Healing and soothing straights such as hempseed, evening primrose, pumpkin seed and walnut can offer conspicuous and almost instant results when used on dry and parched skin. Product makers often mix essential oils of jasmine, lavender, sandalwood, helichrysum and chamomile with these straights to tackle inflammation and damage. Oils used right prove to be a true boon for aging and mature skin. In fact, if used early on, facial oils can actually delay the onset of age related skin damage. The best straights for the job are rich, nourishing oils like that of argan, avocado, sweet almond and others. Adding essential oils of frankincense, geranium, lemongrass, helichrysum, etc. help to further fight off wrinkles, skin sagging and other age linked skin damage. How To Use Your Favorite Face Oil? Cleanse, exfoliate and tone your skin. Use your skin serum. Depending on your skin type and issues, you can use a combination of a skin serum and a face oil and remove moisturizers out of the equation. Wait for about 5 minutes after the application of the serum to use the moisturizer or the skin oil. If you also want to use a moisturizer, this comes next in line. Once again, you have to give the product a few minutes to make its way into the dermal layers. Usually, 5-10 minutes will suffice. Apply the moisturizer with gentle upward strokes and leave your skin alone for a few minutes. Take no more than 2-3 drops of your face oil in the palms of your hands or on your fingertips. Warm the oil by rubbing your hands together and then either massage the oil into your skin or simply press it on your skin. Remember to only use upward strokes for application and massage. If you want to use a sunscreen, apply the oil after the sunscreen for added protection. For those of you who are feeling lazy and would like to remove a step or two from your skin care routine, mix 2 drops of your face oil with your moisturizer and apply as you normally would. Top Tips For Buying, Using And Storing Facial Oils! Don’t let the packaging govern your decision to buy a specific facial oil. Instead, check for the right blend of oils. As long as the blend is served in a glass bottle, you have nothing to worry about. Although face oils are all natural, they do have an expiry date. Yes, even the straight oils do go bad in 12 to 24 months. Since you will only be using a few drops of your face oil at a time, make sure you buy a freshly manufactured product. Because face oils lack humectants, always apply them on damp skin to hydrate and moisturize. If applying makeup after the oil treatment, wait a couple of minutes and dab away the excess oiliness before applying your foundation or concealer. Face oils make for very effective makeup primers. In fact, use a drop to even the coverage when you feel your foundation streaking. If used sparingly, your facial oil can also double up as a highlighter. Store your face oils away from direct heat, sunlight and moisture. At first, it will take you and your skin some time to get used to your face oil. So, start by using once a day or once every alternate day and then work your way up to a daily routine. Although you can use your face oil on other parts of your body, never use body oils on your face as they are too heavy and will cause pore clogging. Never, ever use mineral oil or any product that contains mineral oil on your face. The all-natural L’orpur “Premium Age-Defy Oil” contains organic essential oils (helichrysum oil, roman chamomile oil, etc. ), carrier oils and herbal extracts specifically developed for All Skin Types. Click here to read more about age-defy oil. Follow This Skincare Routine And Wrinkles Won’t Be Hitting Your Face In Your Thirties! I love the opening line “Smelly and yucky animal fat and leftover lard”. Let you mind run with that for a bit.